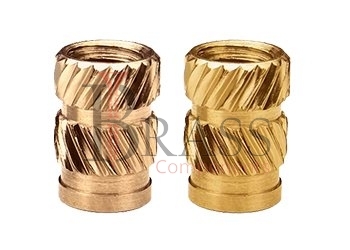 Inserts are fastener elements which inserted into an object to add a threaded hole. 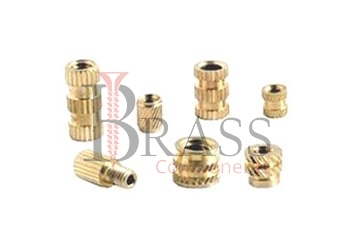 Brass Inserts, Steel Inserts, Aluminium Inserts, Carbon Steel Inserts, Stainless Steel and Threaded Inserts are available in many varieties, depending on the application. 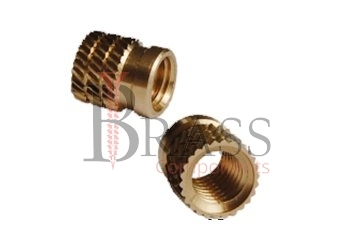 When higher thread strengths than brass are required, a stainless steel insert can be used. 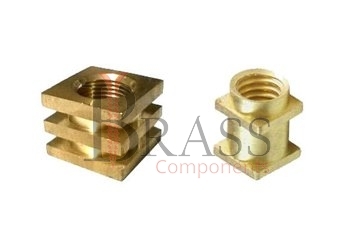 Brass Inserts strengthen the assemblies, reduce wear and distribute force over a larger area to increase load bearing capacity. 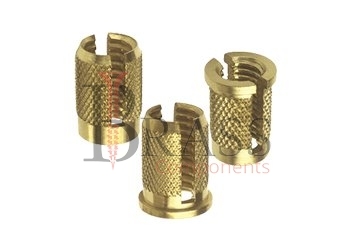 Inserts are widely used in many industrial applications as per custom specification and requirements. 300 Series Stainless Steel, Passivated and/or Tested as per ASTM A380. Available in any metric or imperial sizes as per custom specification. Inserts are available with a positive lock against rotation and vibration. Inserts Threads are as per International Standards. General range of inserts provide High Strength Joint in low Strength Materials. 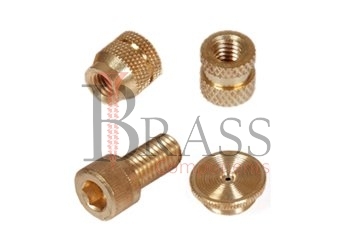 Miniature, Light Weight, Threaded and Heavy Duty Inserts. Inserts are available with Deep Groove for Maximum Pull Out Strength. Their Pull-Out Strength exceeds the tensile strength of most Military Standard Screws. 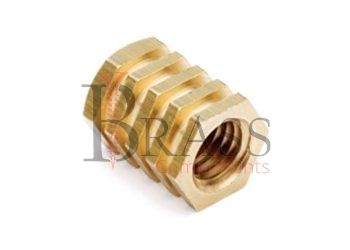 General Range of Inserts are corrosion resistant and temperature resistant. Inner Diameter after threads with very close tolerance to prevent unnecessary flush to enter into the Threaded Inserts. 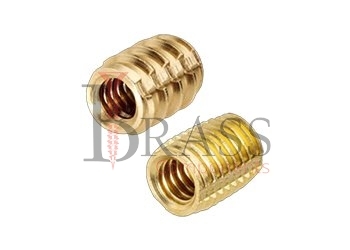 Threaded Inserts provide high Electrical Conductivity. 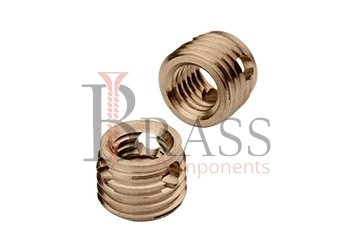 The available range of Inserts provide a high performance, heat and corrosion resistant internal thread which is far stronger than parent materials. The flexibility of Insert enhances the load bearing capacity by deflecting the residual forces into a helical, which is dispersed into the wall of the tapped hole. Full Line of Inserts for all methods of Installation including Ultrasonic, Heat, Thermal, Pressed-In and Mold-In. 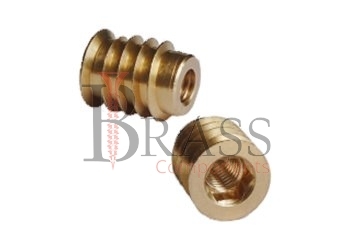 Solid Brass Inserts are easy to Install. Inserts provide rapid installation, high pull out strength and torque resistance. Standard Inserts meet RoHS Requirement and UL Listed. Inserts are used in alloys, light materials, steel and cast iron to increase strength of the thread in materials. Typical applications of inserts are transmission housings, electronic equipment and suspension units. Threaded Inserts designed for critical applications in light metal alloys such as Casting, Extrusions, Machined and Fabricated Parts. Inserts are also Suitable for critical applications in hard plastic and light metal alloys. We manufacture Inserts as per Custom Specification and export in France, Italy, Switzerland, Poland, Greece, UK and other European Countries. For more Information, Please Contact Us or Inquiry Now.